Hardman Signs offers start-to-finish customizable sign services in order to guarantee that your company's needs are met. We'll match you with a member of our Design staff, who will learn your requirements and create a signage model that complements your brand identity and product. All signage services will then be streamlined by our Project Management staff, who will ensure that the project doesn't exceed your budget or deadline. With nearly a quarter-century of experience, Hardman Signs is the company to turn to for signage solutions. Sign Design: Our sign designers offer the sign services that take both aesthetics and commercial appeal into account. Sign Fabrication: Looking for long-lasting signage solutions? Contact the sign engineering experts at Hardman Signs. Our signs are constructed from exceptionally durable materials, guaranteeing that they'll withstand the elements. Sign Installation: The installation professionals of Hardman Signs will ensure that your sign is carefully erected. We know how to turn a beautiful design into a perfectly-constructed sign. Interior Signs: Our staff will work with you to design the interior or wayfinding signs that your company needs. Outdoor Signs: Careful site analysis and pre-installation planning will guarantee optimal outdoor signage placement. Repair & Maintenance: Our talented technicians offer round-the-clock sign servicing. Houston Sign Services: We're the Greater Houston Area's top signage design and fabrication service. Austin Sign Services: Contact our company for interior or exterior sign design services. Atlanta Sign Services: Comprehensive sign design, fabrication and installation services guarantee that the businesses of Atlanta get the services and assistance that they need. 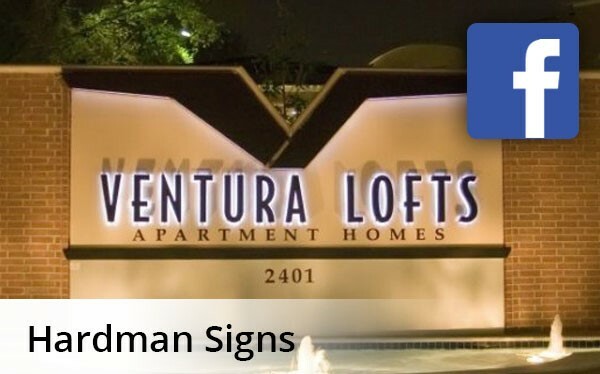 To learn more about the sign services that Hardman Signs offers, fill out no-obligation quote form or call our company today to learn more about our sign services today. We look forward to working with you.